Despite all those years of road running, Tara is still new to the world of Obstacle Course Racing (as are so many of us!) How did she get started? 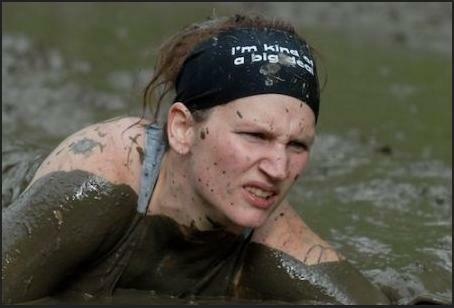 I often ask the moms featured in this series what their family thinks of their obstacle course/mud running adventures. Typically responses include supportive families and husbands that cheerlead from the sidelines. Tara’s family takes it to the next level. 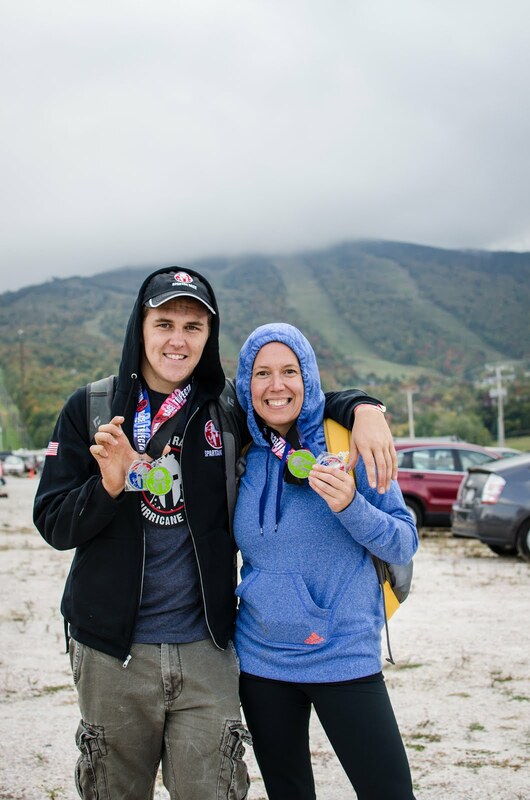 What I love most about Tara’s story is how obstacle racing truly is a family affair. Now, it may seem easy to train as a mom with an 18 year old. They can (essentially) take care of themselves. But let’s not forget, Tara is ALSO mom to a four year old, is a wife AND holds down a job. How does she find the time? Tara’s advice to the newbies? Many moms often have to explain their desire to train, run, and race to family members who just don’t get it. Tanya’s family, compromised of athletes, DO understand. Well…sort of…. The big question for all of my Bada$$ Moms, and the one I know you all love to read: How do you find the time to train? Here’s a bada$$ mom quote for the books: Tanya’s favorite obstacle? 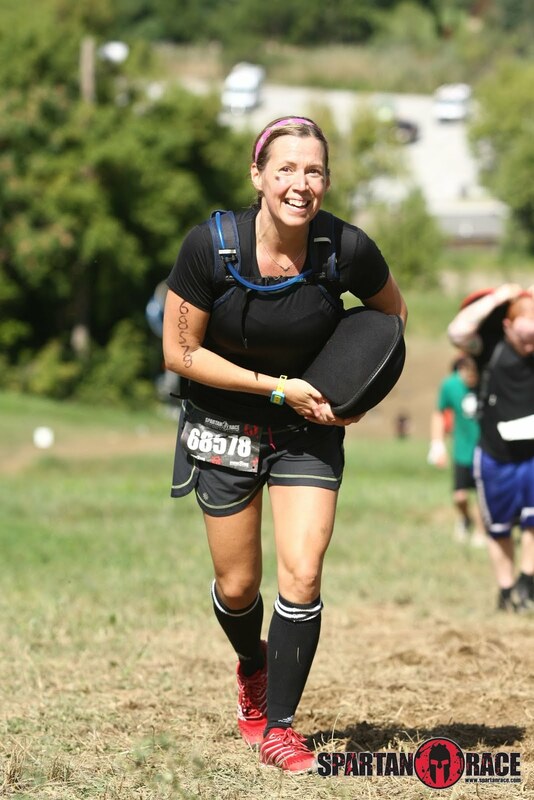 “My favorite obstacle has to be the sandbag carry. I usually grab the men’s sandbag and haul up the hill past people taking a breather on the sidelines. I think mothers have an advantage on this obstacle because we are use to walking with that much weight in our arms and it’s usually squirming.” LOVE IT! Tanya’s advice for those who want to do their first race? Last but not least, we have Katy Greenbauer, from Villa Park, Illinois. Mom to four daughters, a 16 year old that is severely disabled, a 12 year old, 9 year old adopted from Guatemala at age 3, and a 5 year old. Katy said she ran here and there in college, but never considered herself a “runner”. In fact, her very first race was an obstacle course race, and wasn’t until last summer. 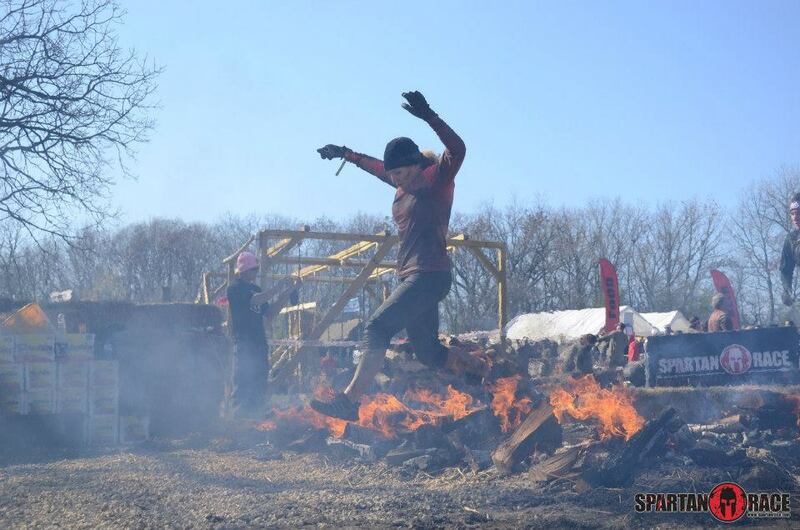 “My first of any kind of race was the Warrior Dash in June of 2012. I don’t think of myself as a runner so I was never interested in any road races. A friend of mine told me about Warrior Dash and thought I might like it. AND I DID! That got me hooked and also gave me the confidence to try the Super Spartan in October 2012, where I finished 4th in my age group. Which completely shocked me. I thought I was going to finish in the top 50%. Katy always makes training a priortiy. With four daughters, it is hard to find the time, but Katy says she’ll get up and work out at 5:30 if she has to. Need a little motivation? Katy’s got it for you. 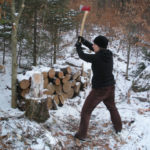 “I’ve heard people say they will do an OCR when they are in better shape or when they have lost a few more pounds. But I think with OCRs it’s OK to put the cart before the horse. Go now and do it. Who cares of you can’t run the whole way or complete every obstcle. Just go and try it. Then you can work on getting better. It really changes how you think about working out. Before I was just working out, now I’m training. It has given me more focus on improving my fitness. The other question people ask me a lot is how I stay motivated. My motivation has gone through so many stages. My first stage of motivation was trying to develop the strength to care for my special needs daughter. She is completely dependent on us for all activities of daily living. 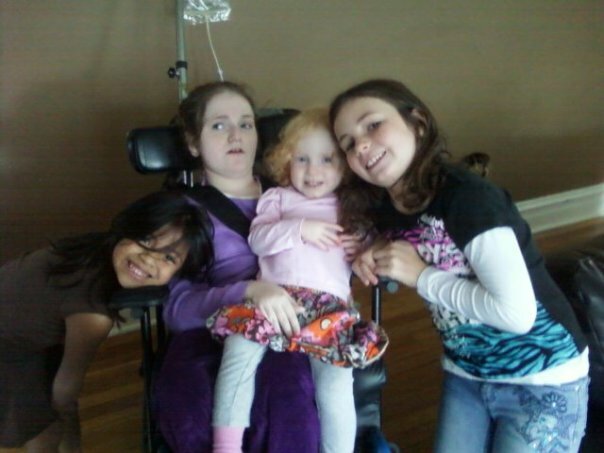 Lifting her, pushing her wheelchair ups ramps, etc.. takes a toll on your body and I wanted to be able to care for her. I started noticing how strong and confident I got from working out so that lead me to my next stage of motivation which was working out to look good! Now that I am running in OCRs my motivation is to continue to improve my time and performance. 1) Somewhere out there someone else has faced this exact same barrier and had the exact same excuse I have for not training and some how they found a way to train anyway. If they can do it so can I. Real moms. Real athletes. Proof that it CAN be done, if you don’t let excuses get in the way. Thank you ladies, keep on inspiring!!! Awesome post and something I needed to read today to give me the motiviation to get out on my lunch break even tho its cold windy and raining! Thanks for the #motivationMonday to rock my workout to prepare for the mud runs I’m doing this year. Inspiring post! Thank you so much for sharing their stories.